This is an introductory book on algorithmic graph theory. Theory and algorithms are illustrated using the Sage open source mathematics software. It's especially suitable for computer scientists and mathematicians interested in computational complexity. This introductory book emphasises algorithms and applications, such as cryptography and error correcting codes, and is accessible to a broad audience. This book provides a systematic and focused treatment of a collection of core problemsthe computational equivalents of the classical Fundamental Problem of Algebra and its derivatives. This text provides a comprehensive introduction to algorithmic number theory for beginning graduate students, written by the leading experts in the field. This book shows you how to perform statistical analysis computationally, rather than mathematically, with programs written in Python. 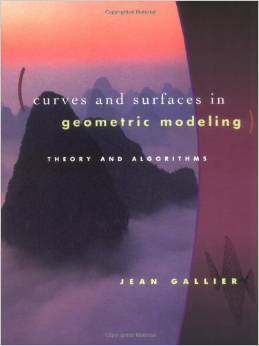 This book presents a thorough treatment of many algorithms concerning the arithmetic of elliptic curves, with remarks on computer implementation. An extensive set of tables is provided giving the results of the author's implementation of the algorithms. This handbook cover the important subareas of computational statistics and give some flavor of the wide range of applications. This book presents algorithmic tools for algebraic geometry and experimental applications of them using Macaulay 2. This book provides algorithms and ideas for computationalists, whether a working programmer or anyone interested in methods of computation. This book is the most comprehensive collection of results on polygons currently available and thus earns its place as a standard text in computational geometry. This book introduces the concepts of functional and symbolic programming, applies these techniques to some problems of varying complexity. This is the previous page of Computational and Algorithmic Mathematics, we are in the processing to convert all the books there to the new page. Please check this page daily!! !